Weight loss can change your life and significantly improve your health. The cost of surgery is small compared to obesity-related costs. Factor in the food you spend annually on groceries and dining out. The co-pays you spend on medical prescriptions. The money spent on out-of-pocket healthcare expenses each year, including drugs such as glucosamine, snore relief remedies, ibuprofen; co-pays for doctor office visits, lab work, specialists, physical therapists/allied health professionals; and the amount spent on non-surgical weight loss programs. Once added up, it is a lot. At some point, after you’ve explored all of the options regarding weight-loss surgery, you will need to determine how you will pay for the procedure. A growing number of states have passed legislation requiring insurance companies to provide benefits for weight loss surgery for patients who meet the National Institutes of Health surgical criteria. And while insurance coverage for weight loss surgery is widespread, it often requires a lengthy and complicated approval process. The best chance for obtaining approval for insurance coverage comes from working together with your surgeon and other experts. Bariatric surgery generally costs between $16,900 and $29,000 depending on the type of surgery you choose. We welcome you to contact us about the costs associated with bariatric surgery. It is up to the employer to choose to include the benefit in their employee insurance policy. When you call to check with your insurance company, ask them if your policy includes “a bariatric surgery benefit”. You may be required to start with your primary care physician. In some cases, they are the only ones you can ask for a referral to a qualified bariatric surgeon. Our program requires that we have a referral from your primary care physician even if your insurance policy does not. 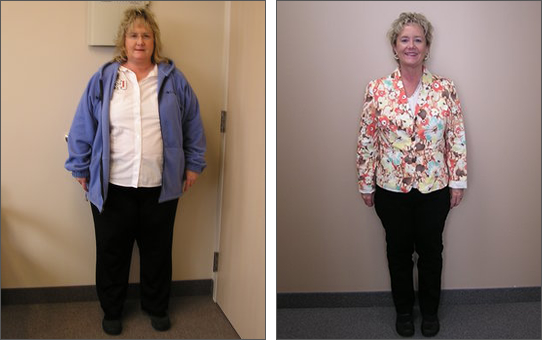 We want to know that your physician supports you in the decision to have weight loss surgery. We will be working together with him/her to assist with your long term success. Your members’ benefits booklet or insurance company website should list the exact requirements that apply to you. Many insurance policies now require 3 to 6 continuous months of “medically supervised weight management” within the past 2 years. If your bariatric surgeon recommends weight loss surgery, we will prepare a letter to obtain pre-authorization from your insurance company. The goal of this letter is to establish the medical necessity of the weight loss surgery and gain approval for the procedure. Two to four weeks is the normal time for an insurance provider to respond to your request. You should initiate a follow-up if you have not heard from your insurance company in that time. At SOBC, we know you are eager to learn of the insurance approval; therefore, we generally follow-up with the insurance company one week after submitting the request and keep you posted with any information we learn as we go. If you do not have insurance benefits for surgery, you can pay for the surgery using cash. A personal loan or borrowing from your 401K are other options. If you need to obtain financing, Prosper Healthcare Lending is an available option. Please use vendor code #004175. It was money well spent to ensure a healthy life.